What do a ship’s porter from 1941, a hiker from 2010, a spy from 2019, and a jobless researcher from 2081 have in common with a perfectly life-like AI from 2175? A handful of other people from different times, and the most uncommonly beautiful and cursed necklace you can imagine. Are they all having a collective dream? Or is it a nightmare? Find out their secrets and their stories on 10 February at 17:00 at the Broedplaats Lely. 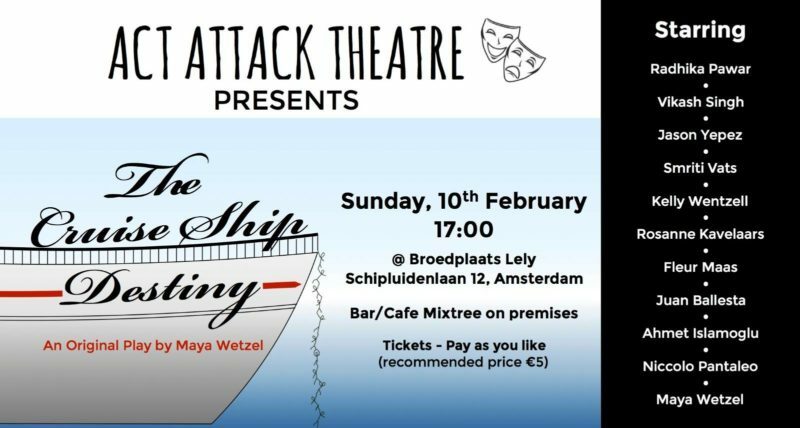 An original play on its maiden voyage here in Amsterdam by Act Attack!